At Africa Expedition Support, we believe open communication, careful planning and oversight of your entire safari is the key to each and every client having the time of their life. We tailor itineraries to suit your budget, time frame and expectations. Whether you want to spend one week viewing the Big 5 (lion, leopard, elephant, buffalo and rhino) in the Masai Mara, 10 days gorilla trekking and exploring in Uganda, 4 weeks taking in all the best highlights East Africa has to offer, or an epic Cairo to Cape Town overland self drive safari, we will work with you to develop the ideal package at a competitive price. Near extinct Northern White Rhino in Ol Pejeta Conservancy in Kenya using our bull bar as a scratching pole. 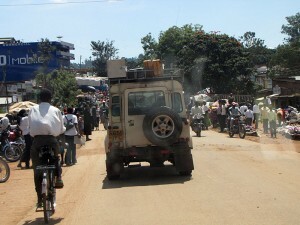 Local villages are always alive and vibrant as we find out on our guided self drive tailor made safaris. 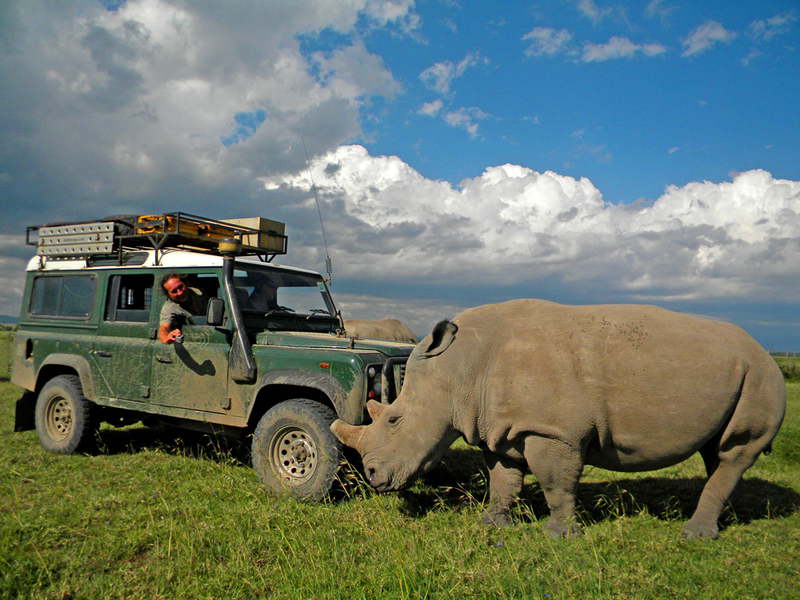 We tailor safari trips based on your ideas and expectations. From lodge accommodations to camping, we cover all the bases to meet individual budgets. Private tailor made safaris are no longer only for the rich but are a realistic, affordable option for everyone. Maybe you’re seeking a private self drive safari to celebrate a special occasion, or want to bring the family on a budget camping holiday, organising an international 4WD club challenge for charity, a group of friends wanting to take on the wilds of Africa in Land Rovers or a travel agent wanting to offer a unique product to your clients. We can tailor your guided self drive trip to meet your needs. As we are based in East Africa we can offer you a level of knowledge and expertise only available to those who live and breath African air. We are passionate about what we do and look forward to sharing our passion with you. We are a small company and pride ourselves on offering personalized service to each and every client. We wanted a private safari but all we could find were expensive tours, Debs tailored a private safari for us and within our budget. 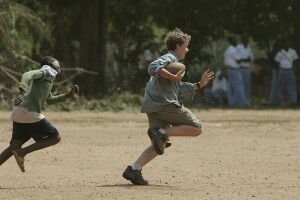 We had a brilliant time and look forward to our next holiday with Africa Expedition Support. Here are a few examples of our tailor made safari tours. We had an enquiry from a group of friends from Australia wanting to bring their families on a private guided self drive to Kenya. They had 14 days. High on their bucket list was the Great Wildebeest Migration as well as animals, animals and more animals. 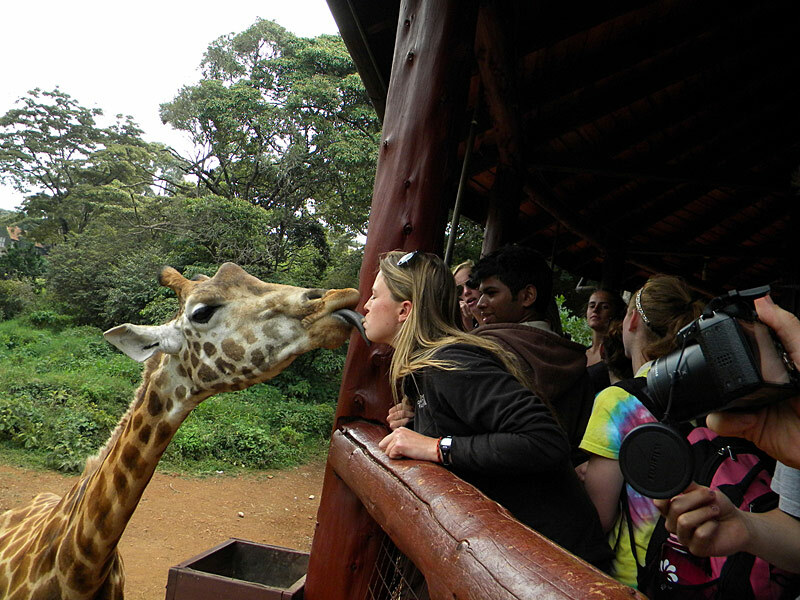 So we developed an itinerary that gave them a variety of ways to view African wildlife and keep the teenagers active and entertained – walking safaris, bicycle safari, boat safari and of course game driving safaris, as well as hand-feeding giraffe, and visiting an animal orphanage. As the Wildebeest Migration was high on the list, we allocated ample time to explore the Masai Mara National Reserve. We carefully chose game parks that gave the families optimum opportunity for game viewing with some exciting 4WD driving days for the dads (very important). A visit to a local school offers unique interactions and skill swapping. Through our many conversations on email, one of the parents mentioned it would be a great experience for their kids to spend a few hours at a local school and if we could arrange this. So we did. We took them to a local primary school where the teens saw first-hand the lack of facilities and poorly resourced teachers. The teens gained an invaluable insight into real Africa far beyond a typical safari. We have also organised similar safaris using our custom built overland safari vehicles for families and friends not wanting to self drive. 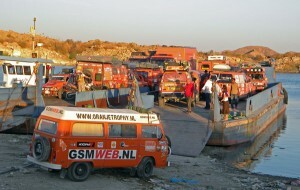 In 2010 we took on one of the greatest challenges in Africa Expedition Support history, having been asked by Oranje Trophy organisers in Amsterdam to develop a day-to-day itinerary and provide logistical support for their convoy of vehicles travelling from Amsterdam to Cape Town for the FIFA World Cup. Our challenge was to successfully and safely get a convoy of 22 vehicles overland to the World Cup in the shortest amount of time. In 2010 no one had attempted such a crossing with so many vehicles. Our greatest challenge was the crossing of Lake Nasser from Aswan, Egypt to Wadi Halfa, Sudan on several platform vehicle barges. After receiving the measurements for the vehicles we went about mapping how the vehicles would be loaded. We soon realised we would have to book every vehicle barge in operation on Lake Nasser, and even then it was going to be tight. Working our way through reams of red tape and regulations, we loaded the vehicles and set them off in a record-breaking single day! The rest of the trip went relatively smoothly. We organised a service clinic in Nairobi where all vehicles underwent repairs and servicing before continuing to Cape Town. The group even managed some time to visit several game parks including the Serengeti National Park in Tanzania. They arrived in Cape Town exactly on time! 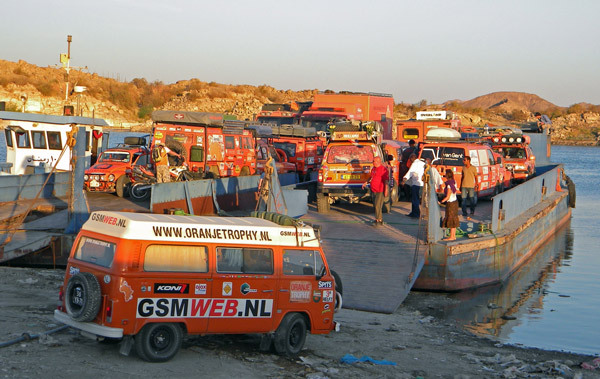 Oranje Trophy 2010 has been the largest convoy of vehicles in history to complete the classic Cairo to Cape Town adventure, which would not have been possible without Africa Expedition Support. Thanks again, on behalf of the entire Oranje Trophy group. Since then we have organised several smaller group events and international charity challenges. We also offer tailor made flying safari tours.